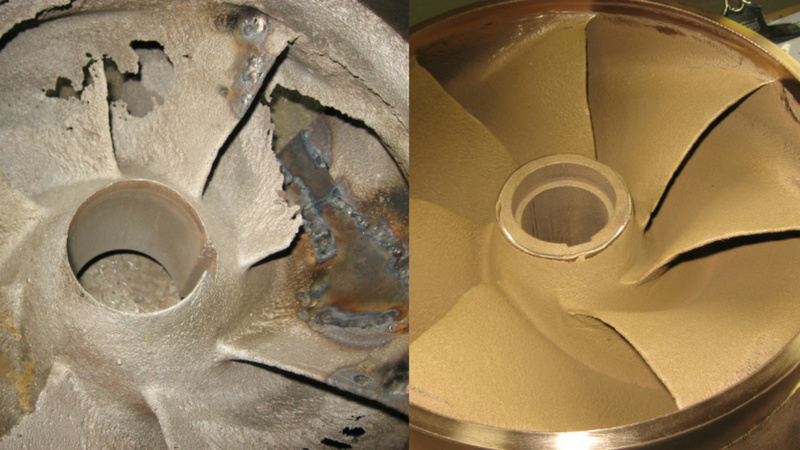 Metal Technology of Indiana, Inc. is a metallurgical spray, repair, and engineering partner. We are an industry leader in thermal spray coatings, performance coatings, and machining services. , MTI is your best source for reliable pump repair and pump restoration. We will restore pumps to, and often exceed, OEM specifications. Not Just "Like New"... It's Better! Engineers have to balance weight, strength, durability, operational temperatures, and corrosion resistance when solving problems with metal. Thermal Spray gives engineers a greater range of options and possibilities to overcome challenges. The Job's Not Done Until the Paperwork is Finished! MTI has an in-house metallurgical lab for testing and documentation to meet and confirm spec requirements for the most demanding job. Our standards were designed to meet and exceed OEM specifications. Call (765) 482–1100 to request a quote or just talk to us about our services. You can also click the link below to go to our contact form. We look forward to hearing from you! Lasting about one week before corroding. Part now lasts about one year before needing repaired. Part inspected every 8,000 hrs with full tear-down and repair every 20,000 hrs. Part now lasts over 30,000 hrs without needing repair. Part service life was only few months. Still not convinced? We got more! Contact us today and let us show you around.